Purfex is proud to be the licensed manufacturer and agent in Australasia for ‘Hindsgaul Mannequins World-wide‘. VMSD Magazine: Visual Merchandising and Store Design. Inspiration Magazine: The International Design Resource Publication for Store interiors and Visual Merchandising. The New Zealand Fashion Museum is for anyone with a love of fashion, heritage, innovation and creativity. 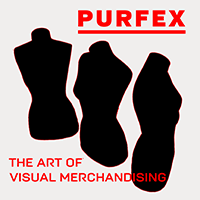 Shot on location at Purfex, photographer Peter Morris has created an intriguing contrast between real and mannequin.